**Egg price versions with Louisiana locations due to restrictions. Limits apply per Celebrate member. Not a member? 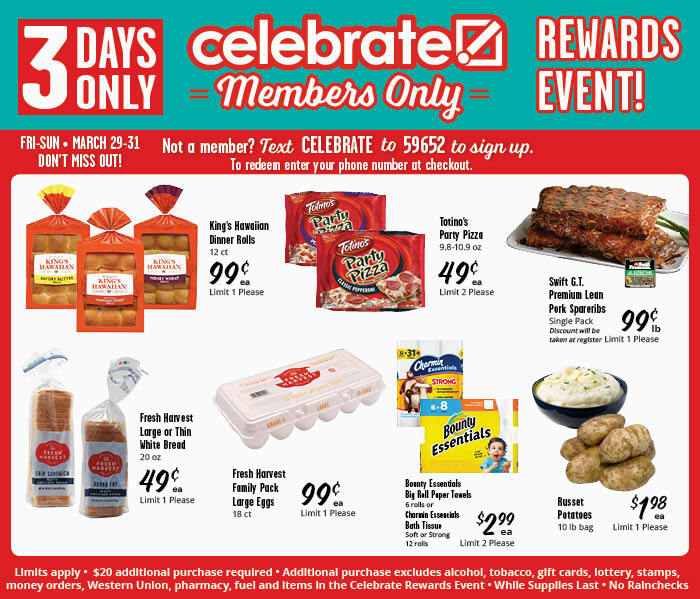 For more great savings, check out your weekly ad as well!